Before I was a florist, before I even knew I could become a florist, my family and I used to buy flowers from this tiny little corner store with buckets and buckets of market fresh flowers. There wasn’t any arrangements or mixed bouquets there, but if you wanted them mixed, you simply chose the bunches you wanted and they would put it together. That was the quintessential old school corner store wasn’t it? A true mixed business, where each member of the family had an essential role in the function, success and future. Then, specialty florist shops began popping up: where you would expect to find an assortment of pre made bouquets and arrangements. You would of course be able to design your own mix from their selection of fresh cut flowers. 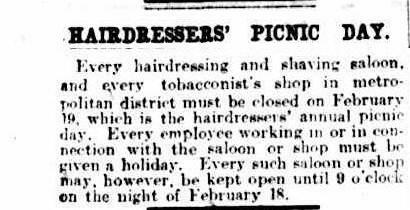 The giftware, balloons, chocolates and other extras was limited in those days. As the industry has changed, new opportunities have continued to appear. Studios have positioned themselves in a way that they attract Wedding and events work as well as workshops. Boutique florists create bespoke florals for product launches and media, as well as handling many celebrity clients. 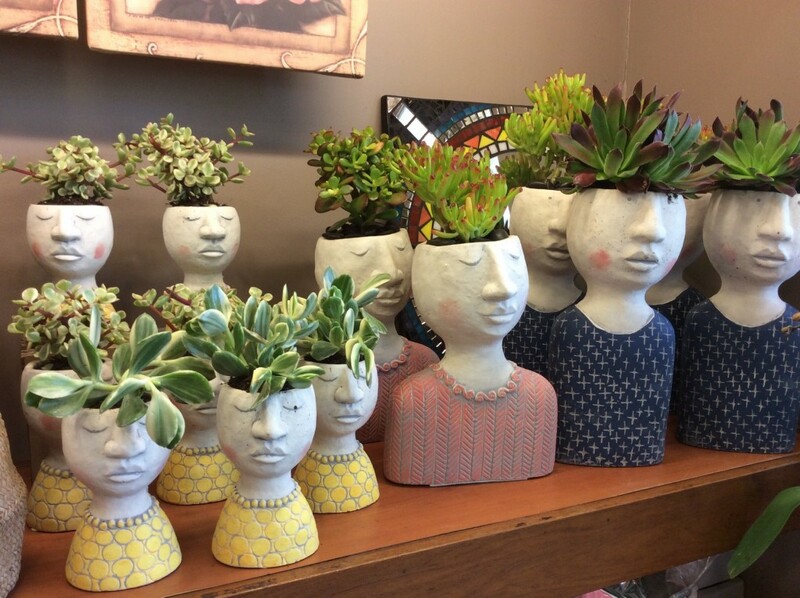 They may source a range of unique homewares, hamper items, giftware, vases, ceramics to offer their clients some beautiful gift items that are unique and gorgeous quality. And your trusty local florist is the one you can rely on for your everyday needs for your home or gifts and special orders. Where do supermarket flowers fit into the picture? For many, people will grab a bunch from the supermarket if they need something for a vase at home. And you can understand it in some ways- it’s convenient…and you know what, it also becomes part of the grocery bill in your head, instead of the luxury item you have gone to a specialty store for, right? Over the last few years supermarket flower pricing has become more and more competitive. 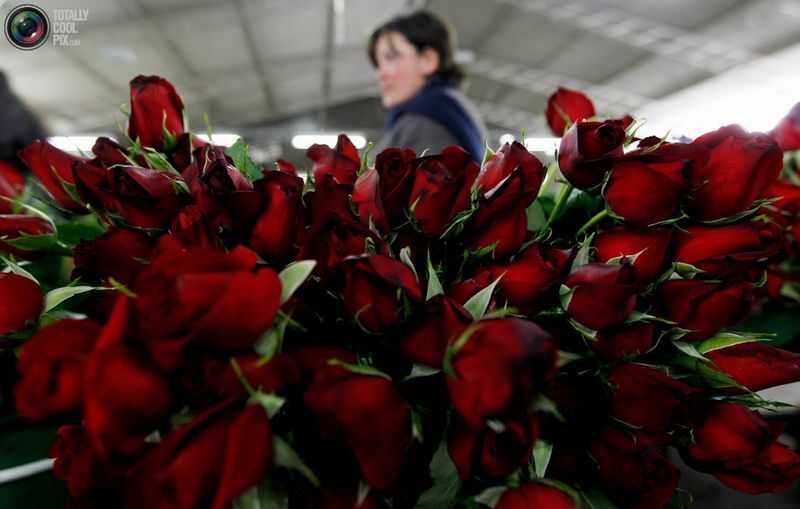 Big supermarkets have even been attracting new customers with focussed, and specially designed menus of fresh cut flower arrangements and bouquets for BIG DAYS such as Valentines Day and Mother’s Day. How about service station cut flower bouquets? Maybe all the shops are closed, and you have been unorganised. Perhaps it’s a public holiday. 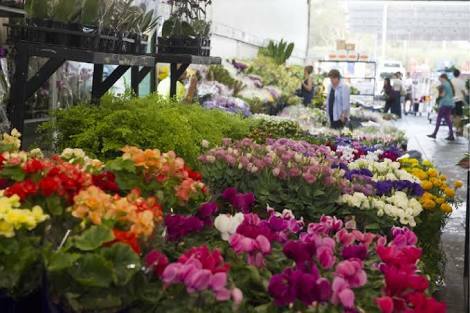 Perhaps your local florist was sold out… Surely, these are the only reasons a person would find themselves browsing the flower stand at a place that your fill your car up with fuel. 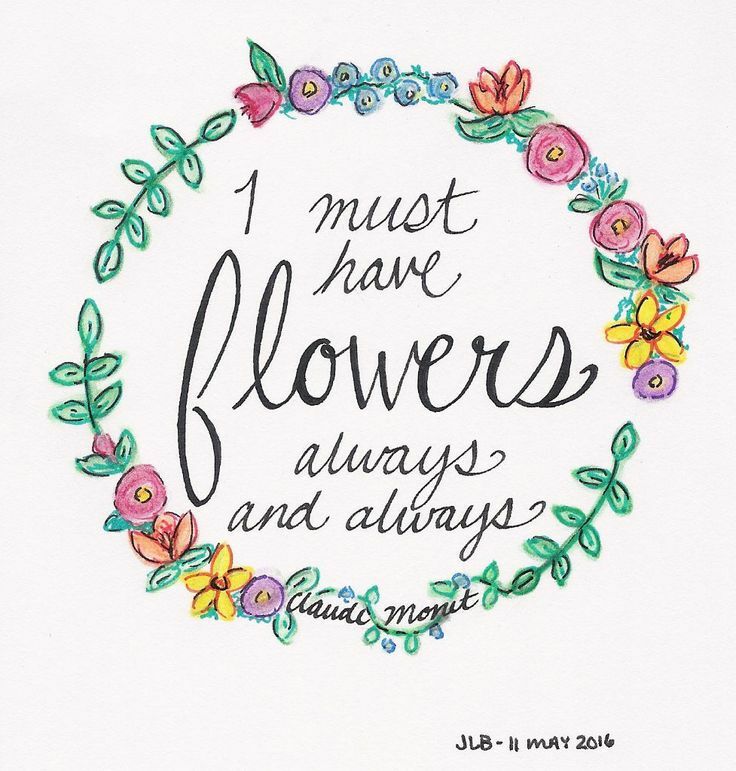 Well, let me ask you this….what about hardware store flowers? When you think about choosing a floral gift, in what universe do you find that in a hardware store? For a little while now, Bunnings has been stocking flower arrangements and bouquets. I was flabbergasted when I walked in the entrance to be confronted with a stand of arrangements. They were located at the very front of the store so that they were easily accessible should you need to run in and run out. There was no comparison between what they do, and what we do, so whilst I was certainly surprised by this new addition, there is obviously some market for this style and quality arrangement. In business they say the most important factor is knowing who your target market is. For many it is tempting to say ‘ everyone’ but unfortunately one of the biggest mistakes you can make is trying to appeal to everyone. Your product won’t appeal to everyone, it just won’t. So the sooner you define who your customers are, and how to give them what they want, the stronger your business will be. So rather than worry about all the things everyone else is doing, Florist with Flowers is focussed on what we do best. Have you seen one of latest additions in store? These ‘Living Portraits’ are a gorgeous gift idea. 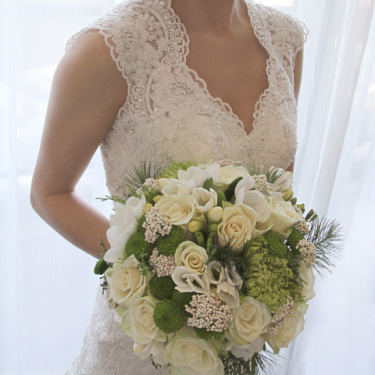 I remember when I made the decision to focus my floristry career on wedding work alone. It was a big decision, but I felt it was the challenge that I craved, and something I could really throw myself into. I also felt that I had enough experience behind me to put me in a good position to guide clients in their choices for one of the most important days of their lives. Some of the time, getting on the same page, would come quickly, and at other times, both parties probably left the consultation unsure if we really ‘understood’ each other. 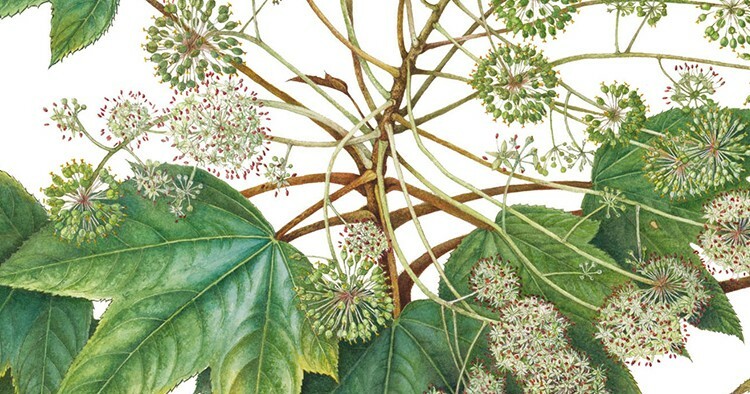 In order to mitigate some of the potential issues, as well as including the flower types and names of varieties (which probably means little to someone outside the industry anyway) we would also include an overview of the colour palette, as well as approximate quantities of each colour, and a description of the overall look and feel in colloquial language. But I’m not going to lie….across a career of thousands of weddings, I’ve had my fair share of ‘failures’. And whilst the bouquets may have been aesthetically beautiful, they did not meet the brides expectation. This week, I have heard a few discussions on similar experiences; the disappointment in that despite their best efforts to be completely transparent, some bits of the creative process still seem to be lost in translation. Then there are other cases, where the colours just were not right, or a major change was made and never discussed with the client…or worse, items were never delivered to the venue. As a supplier, we must be able to decide whether we are responsible for failing our client. We must be able to look through the brief and honestly answer whether we met it. And when we are in the wrong, we must own it. Sometimes however, people experience a post wedding low. It has the same intensity as a wedding high, but sits at the other end of the spectrum. The wedding high brings all those exuberant feelings; elation, euphoria, happiness, giddiness, optimism and gives you the ability to overlook details that seem insignificant. The post wedding low, can be where things go wrong, and it is understandable. After months, or even years of working toward a goal, a momentous, beautiful day where every whim and every wish is realised, daily life hits you with an almighty thud. The realisation that that big project is over can leave people wondering what to do next. Does that sound ludicrous? Believe me, this is a REAL thing. 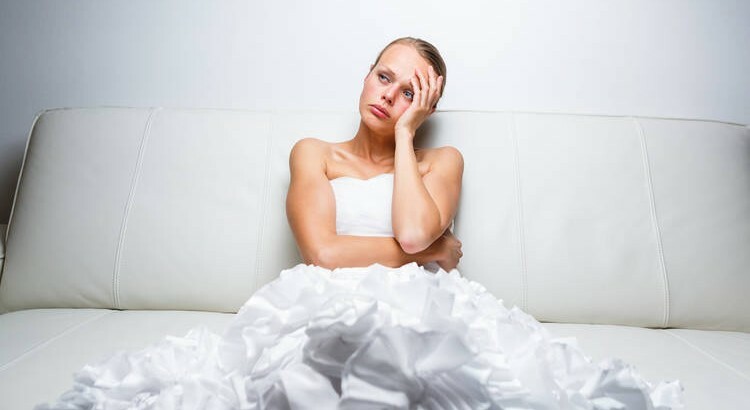 For suppliers, post wedding day lulls, can surface complaints that did not exist on the day. And for creatives, like florists, it really hits us where it hurts….the HEART. 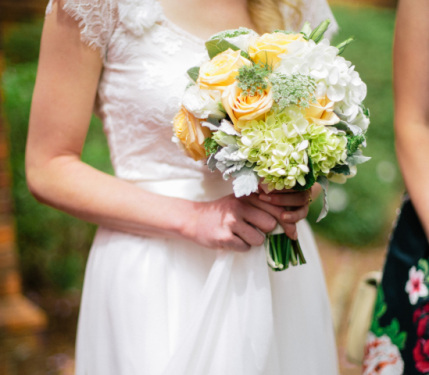 Unlike many other wedding suppliers, florists get no second chances. 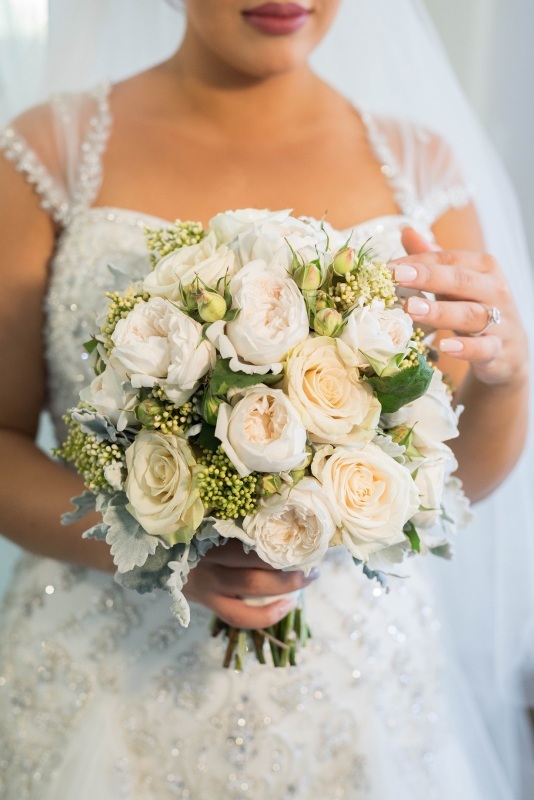 The flowers are one of the last pieces to the puzzle, and responsible for kind of tying everything together….and no one wants to get it more right than your wedding florist. When we get it wrong, it keeps us up at night…literally. So, if I can give one piece of advice, I would say that when you choose your wedding florist, choose a company who creates things that you drool over all the time. Choose someone who has a natural style that aligns with your own….then, I believe you will get something that you think it just perfect for your big day. I read an article the other day on 9homes that suggested that the future of buying flowers was an Uber-esque website called Bag a Bouquet. Like many platforms these days, what this does is offer you an array of products that are available in your delivery area from different businesses and suppliers. From there you can choose your bouquet based on style, or price, rather than having to sift through several websites yourself. Bag a Bouquet is the brain child of former property industry worker, 26 year old Xanthe Reynolds, who saw a problem in her own buying experience and made it an opportunity. For some generations, this new world look at buying flowers will fit perfectly, but for others who value loyalty and a personalised experience, this will yet again miss the mark by removing the human component of gift giving. 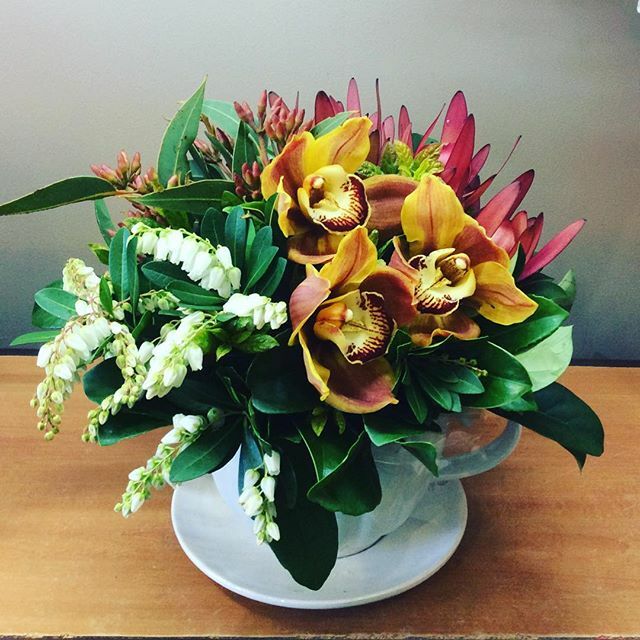 As a florist, when you want to create something unique, it is imperative that you understand both your client and the intended recipient, and how do you do that if you never interact with anyone? Simply choosing from a website picture just isn’t going to cut it on many occasions. And whilst websites are easily updated and changed daily allowing for seasonal variations, we are still working in a creative industry, Working directly with nature, and where many factors are beyond our control. An arrangement of all white and greens is a great choice as the overall look and feel will remain the same, even if substitutions are made. 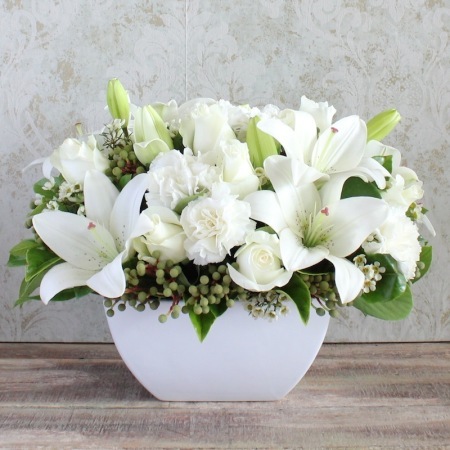 For Florist with Flowers, Tasteful white blooms is one of our most popular arrangements. When you choose an arrangement of all whites and greens you know that even when substitutions are made, the overall look and feel of the arrangement will remain the same. 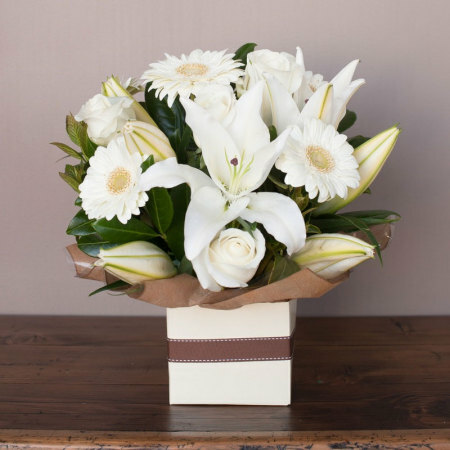 Crisp White Box is a crowd favourite on our website. The simple colour palette is easy to substitute within is required. Unlike the process of comparing hotels online, where the product is stagnant and fixed, with any fresh product there is always the need to make substitutions and design decisions based on what is available at the time. 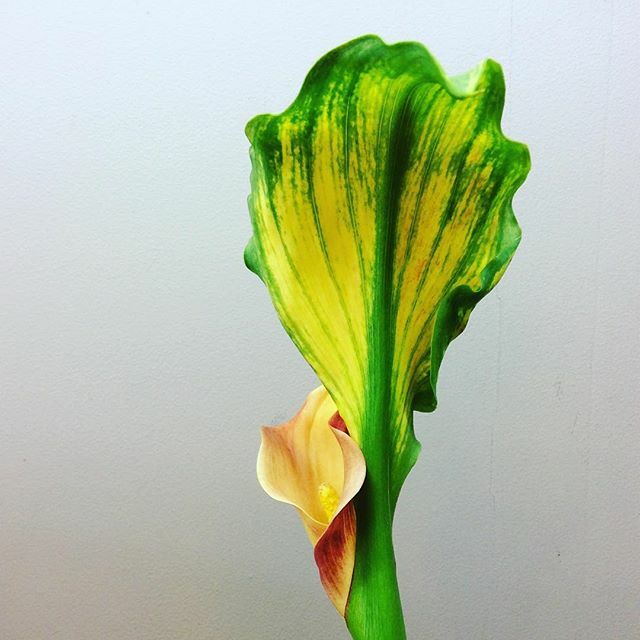 The reality is a bouquet in a picture is near impossible to replicate; there are colour variations, size variations, stage of bloom variations… There will also be differences in the way the stem has grown, and therefore the direction it naturally moves in an arrangement. These may sound so insignificant individually, but it can vastly change an arrangement. And it is also these little intricacies that can take a bouquet from average to awesome. 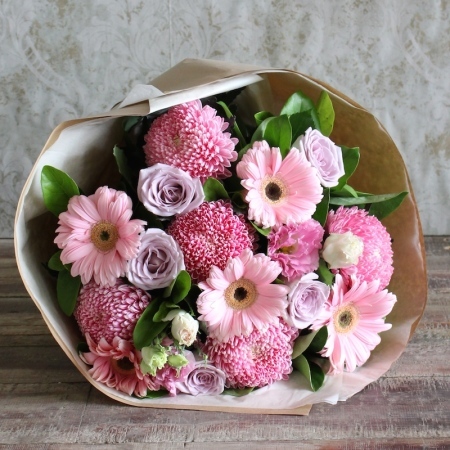 Try choosing a bouquet in one colour tone, like this Pink Stylish Bouquet. This I believe is the strength of knowing and patronising a small local business. Instagram, Facebook and other social media outlets are invaluable in growing your audience and bringing them into your creative world. There, you can show them how much talent you have in your business and develop a level of trust that means they will allow you to create what you think best suits a brief without specifying exactly what that will be in advance. It is then, that you are able to do your best work also. But in a florist business there is also the need to manage expectations. When you are face to face with a client or on the phone, you are able to talk to them about any changes you may need to make to an arrangement and also mitigate any concerns they have. 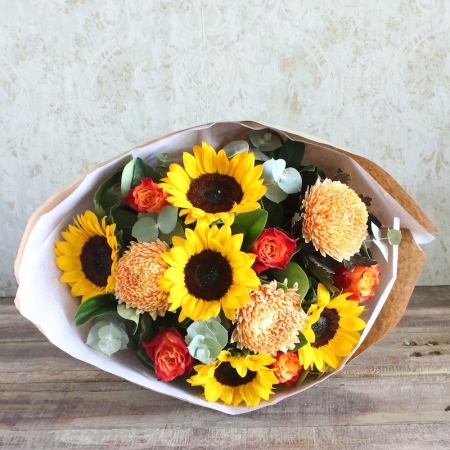 Bright Sunny Bouquet is a popular item on the Florist with Flowers website. Like any other buying decision you make online, I believe that it is always best to deal directly with the business that you are buying from. That means it is important to avoid any third party interactions. This is where communication generally breaks down, plus you will often find that some of the money you have spent is paid to the third party as an (often hefty) commission…..so despite spending a lot, you may not end up seeing the value in the final product. It is also much quicker and easier to deal with address changes, or any issues that need to be resolved if you are dealing directly with the business who executes the order for you…. My vote is still 100% for supporting an individual local business! From the moment you can talk, basically everyone asks you what you want to do when you grow up. What do you want to be? Find something you are passionate about, they say. If you have passion, you will always go above and beyond what is expected and success will come. What they don’t tell you is that sometimes it can be a looooong, bumpy road to success, and if you checked out The Mentor on Channel 7 on Monday night you will know exactly what I mean. 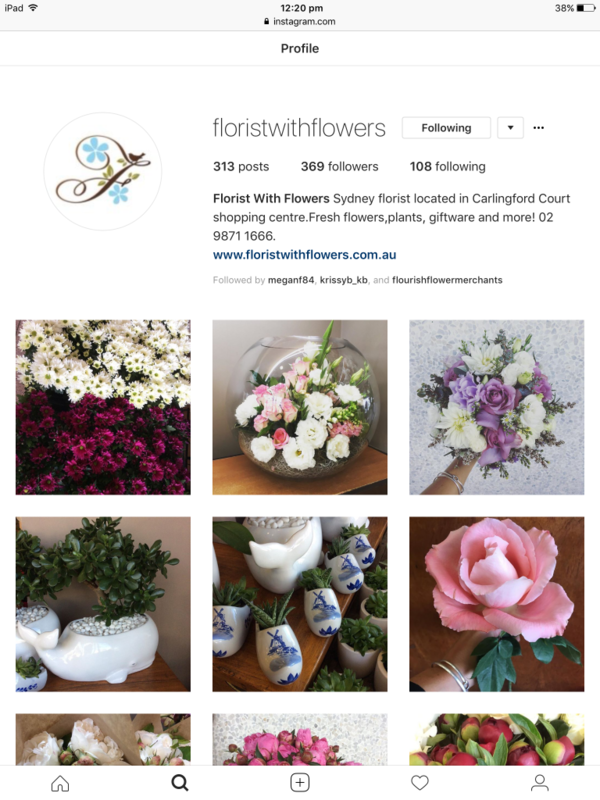 Florist, Kim Key owns and runs a small business based in Cronulla in the South of Sydney. She is an extremely experienced florist, hard working, and you know what, even when her business was floundering, her passion was palpable. 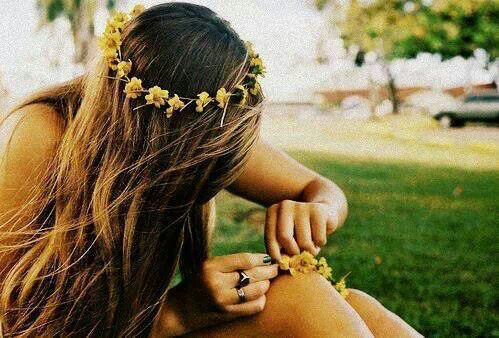 She still absolutely loved the flowers, and what she did. Like many passionate florists, she is not a trained business person. She simply wanted to turn her passion into a flourishing business. It is a situation that is pretty common in this industry actually. Whether you have learnt on the job whilst employed, or decided to jump in head first, many florists have no business or marketing background, but instead rely on their love of flowers to propel their business upwards. 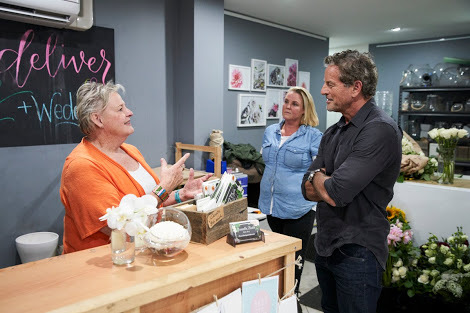 It takes a special kind of person to be a florist: the kind of person that can listen to your ramblings and create something that ticks all the boxes that you didn’t know you had. It is someone who understands the ‘look’ you want to create, and how to achieve it sometimes without being able to show you exactly what that is beforehand. Mark Bouris served up a fairly hefty dose of tough love, and although emotional, Kim was steadfast in her mission. This is a mother, wife, daughter and friend giving her everything, and sacrificing so much of her own life and happiness in an attempt to build her dream. It was hard to watch at times as Bouris used large online businesses to illustrate what she could do better. In many ways, what a small business has on offer is the fact that it is so unlike a large faceless online business; the old fashioned experience of knowing the shop owner and talking to someone in person, and seeing what they have in store. BUT Bouris also illustrated just how hard the flower business is and how the margins on flowers alone, just aren’t large enough to have a successful business. You don’t know if you don’t ask. Getting into the habit of asking each and every customer if they would like a vase, chocolates, balloons, toys etc, is not only good for business, but enhances the whole customer experience. Happy customers = A better business. If you don’t exist on Social Media, then you don’t exist. Social Media presence is ESSENTIAL in today’s marketplace. Invite your customers into your world and give them an insight into your everyday. Building loyalty these days looks different, but it is still based on the concept of connecting. With Mother’s Day coming up next weekend, remember to patronise your local small businesses, otherwise they will cease to exist 💔 You can check out what we have on offer this year here. And if you missed the episode of The Mentor, and are interested, you can check it out here. Many people think floristry is the dream job. 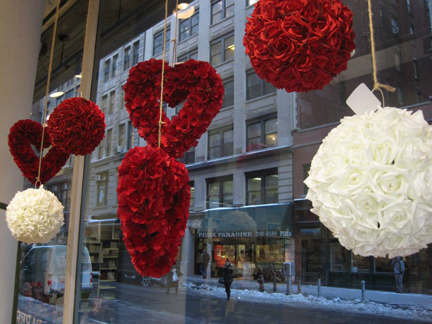 The idea of being in a small shop and playing with flowers appeals to many people. 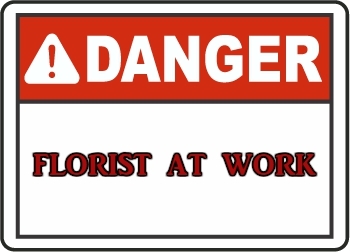 I have always joked that people don’t understand just how ‘dangerous’ life as a florist can be, and how it can quite literally be risky business! You think about it, many florist businesses are small owner operator set ups, where you usually find someone is working alone the vast majority of the time. What does that mean? Well, you are opening and closing up a shop, each and every day where the work is laborious; heavy, hard, repetitive and back breaking. Add to that the fact that florists are usually at work long before anyone else is awake, starting the market run around 4 am and they are still around once the other businesses have closed their doors. 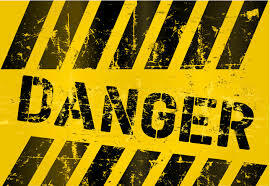 This leaves them in the most vulnerable position; at risk to armed robbery, fatigue, OH&S incidents/accidents and more. Just last week a small florist business at busy Sydney Central Station was the scene of a very sad, and disturbing series of events that unfortunately saw a 30 year old man shot dead. NSW Police were called to the Eddy Avenue Florist at approximately 6:45pm on Wednesday 26th July following reports of an armed robbery. The florist, who was working alone at the time has said that he was attacked by a man wielding a broken bottle however that the man did NOT attempt to rob the store at any time. Instead, Emmanuel Theoharas explained that he was attacked from behind, and threatened with the bottle before the man demanded that he call the police. From many reports it seems that the man, since identified at 30 Year old Danukul Mokmool, may have been a drug user with some mental health issues and it is a sad end to his story. 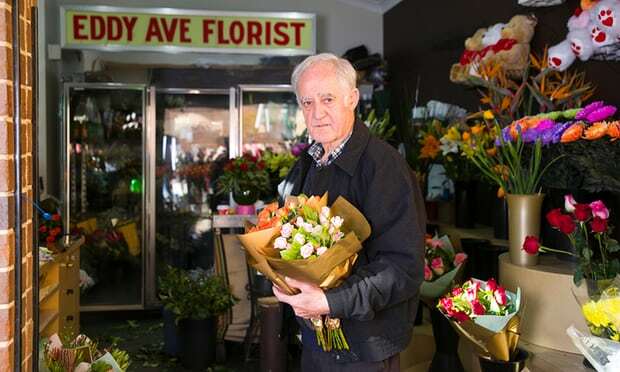 But my heart goes out to poor Emmanuel Theoharas who has been running the florist for some 46 years. I’m sure that this was not what he thought his day was going to look like, but he turned up to open the store again Thursday morning and will do each and every day that follows. That would have been some scary stuff and I’m not so sure that everyone could bounce back so quickly. For operations that are bigger, yes there will be others there to share the workload and have your back, but maybe you will work off site in an unfamiliar situation. You may be up a ladder hanging things from a ceiling, or lifting large pieces up into the centre of a a table, repetitively straingin your lower back. Long hours, particularly in event work will see you existing as if you are constantly jet lagged, making your response time slower. 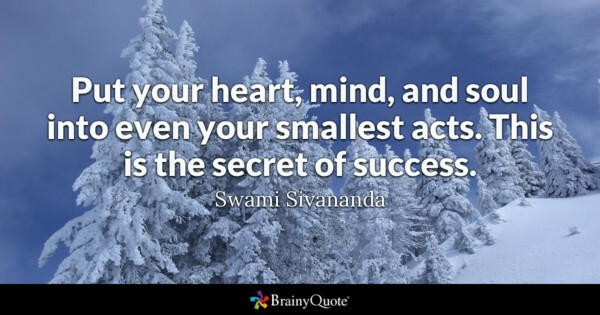 And remember we work with scissors and knives all day every day (with the occasional hammer, saw, pliers and power tools thrown in too)- sounds like a recipe for success doesn’t it? The retail world has changed dramatically over the past decade. As a whole, we are a society that relies less on cash, and more on credit. In years gone by, a florist basically survived on cash transactions, but like any legitimate business, as time has passed, technological advances and society’s demand for conveniences has seen us adapt. In some ways it probably lured us into a false sense of security. I mean, anyone who works within our industry knows, it wouldn’t be worth the risk to rob what cash you would find in the till these days! In some ways we probably don’t feel as though we need to be as wary or hyper vigilant as we once did, and I guess in some ways, because there is less cash, the risk has lessened. But back in those days, the cash florist was selling posies and box arrangements…..These days we are in the business of construction with no formal certification; creating huge wall hanging arrangements, working through the night on little or no sleep, a concoction of caffeine, chocolate, lollies or cigarettes (depending on your preference). Let’s think about that for a second….a Jet lagged Construction worker, operating machinery at heights while wielding scissors or a knife…..
Told you floristry was a dangerous job! Well, in case you missed it, it’s Mother’s Day THIS WEEKEND people! And whilst things are heating up to be another busy year, we are still accepting orders. 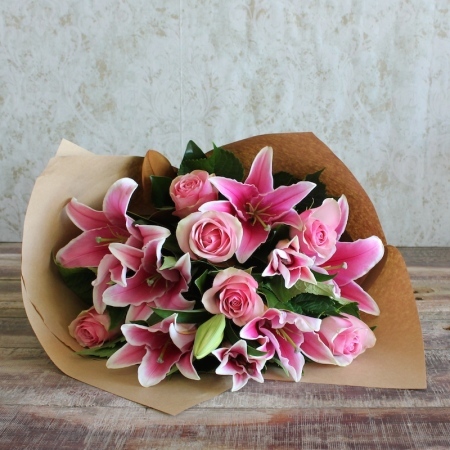 Yesterday the Australia Flower Association warned customers to be sure who is supplying their Mother’s Day flowers after the an increase in the amount of complaints stemming from online orders. This is particularly the case where a company is set up to look like a local florist, but it simply an ‘order gatherer’. Whilst some companies are honest and upfront about the structure and purpose of their business, others are using somewhat underhanded tricks and techniques, and increase their marketing reach to ensure they are attracting a large share of the business, without following through on customer orders, and effectively managing customer expectations or resolving complaints. Instead, hidden commissions and fees make it impossible for the executing florists to adequately fulfill the order. In addition to tha,t orders were sent out incorrectly, or not at all, and were reported to be poor value for money. An order gatherer exclusively has an online presence- there is no bricks and mortar store, although many have been found to be claiming to be based in a particular suburb at a particular address, although no florist exists there at all. This is not a problem that is exclusive to florists, many industries have similar bodies collecting orders in a similar way. What is the result? Whilst the order gatherer makes a tidy profit from you, an ever increasing percentage of the market is left UNHAPPY, blaming the small business who executes the order, which is often undervalue. In some cases undisclosed commission rates of up to 65% were inbuilt in the products being ordered. This obviously misleads the consumers who would expect to get the full value from their order. 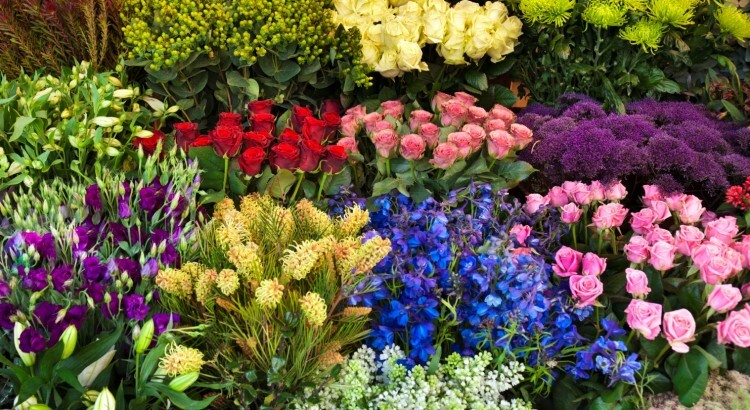 “The Association is warning consumers prior to Mother’s Day to ensure they can make their flower purchasing decisions from an informed position”, said Mr Holborn, The Flower Association Executive Officer. So what do you do to avoid getting stung? Order from your local florist. That may sound simple, and if you know the email address, go straight there…. BUT some sneaky businesses also buy domain names close to the name of reputable businesses or using a suburb name + florist to intentionally confuse customers. Walk into the shop and speak to your customer service member. 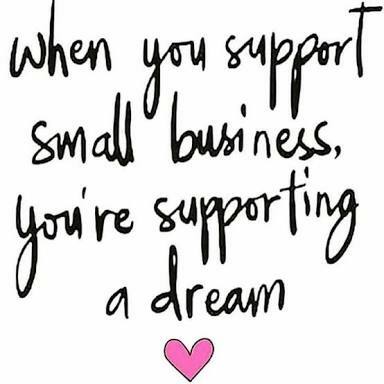 Our regular customers know that we are a small business. Florist with Flowers is a single site florist providing a fabulous selection of fresh cut flowers, indoor plants and gift ware. You can come in store and select the item you want to send, knowing that it will arrive looking as you had imagined. You can also order online knowing that we will fulfill the order as envisaged. And where you leave us to be creative, you can be assured a high quality product will be produced using premium fresh cut flowers. Florist with Flowers do also provide assistance with relay services, and we will guide you in how to best get something lovely delivered to your loved one interstate or overseas when we can not fulfill the order ourselves. 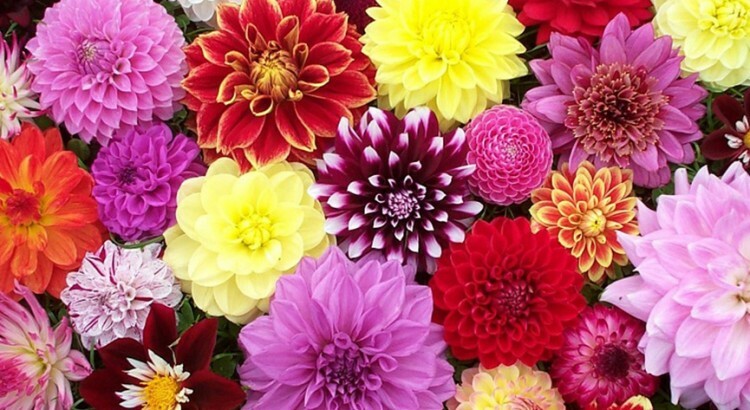 This includes sticking to simple colour schemes where the florist is free to use what is the season’s best in their location, or by sending one variety of flowers en masse. 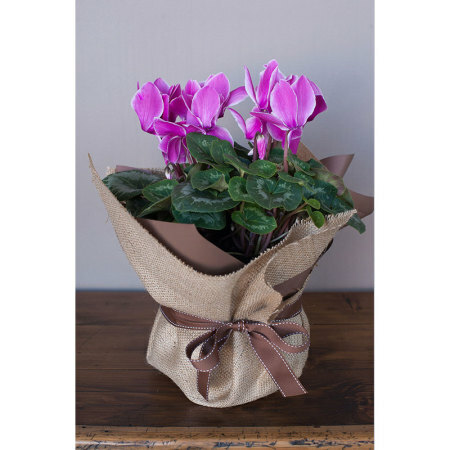 This takes the risk out of cheap filler flowers being used or unnecessary substitutions, and still makes a statement by ‘wow’-ing the recipient with a full and generous display. 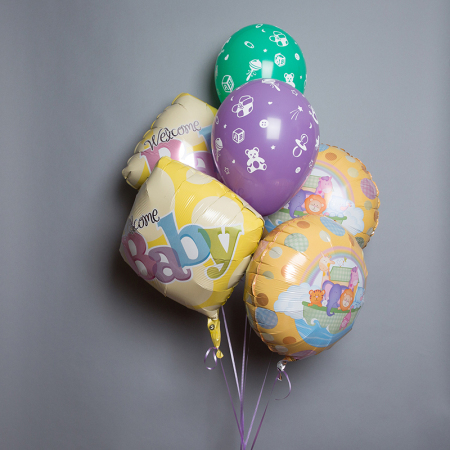 We pride ourselves on offering a variety of products at different price points to suit each and every mum, and budget. 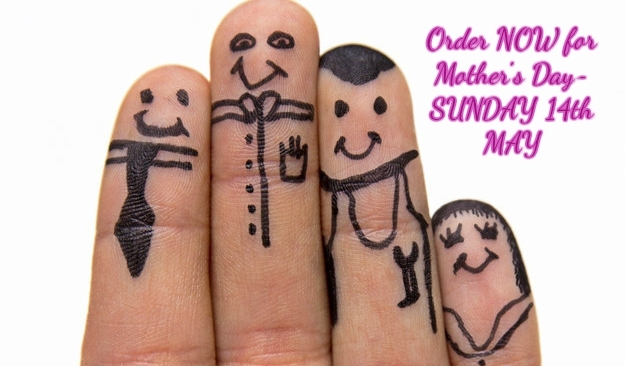 Our Mother’s Day menu this year features gift ideas from $45 that can be delivered. We will also have a selection of cash and carry items available in store over the weekend. 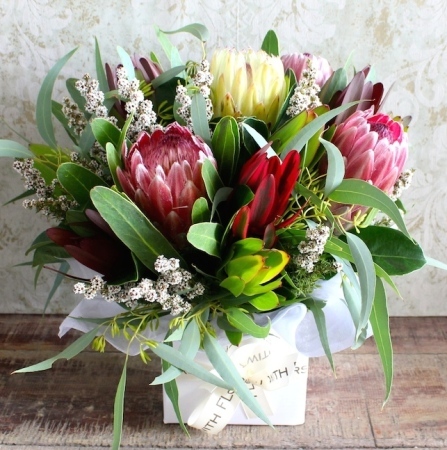 A Native display like ‘Wild at Heart’ will have mum enjoying flowers long after Mother’s Day has come and gone. Win! Did you receive flowers in the last week? 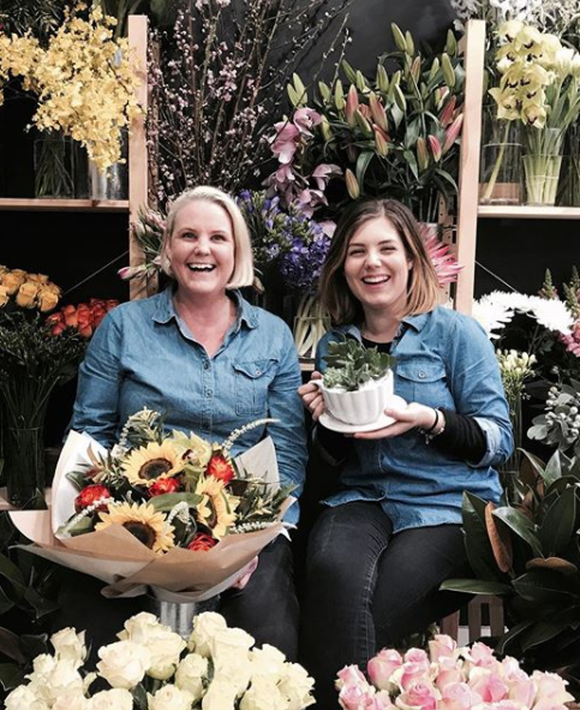 On Tuesday, we undertook a mammoth task, delivering love notes and gifts throughout Sydney, on one of the biggest days on the florist calendar. 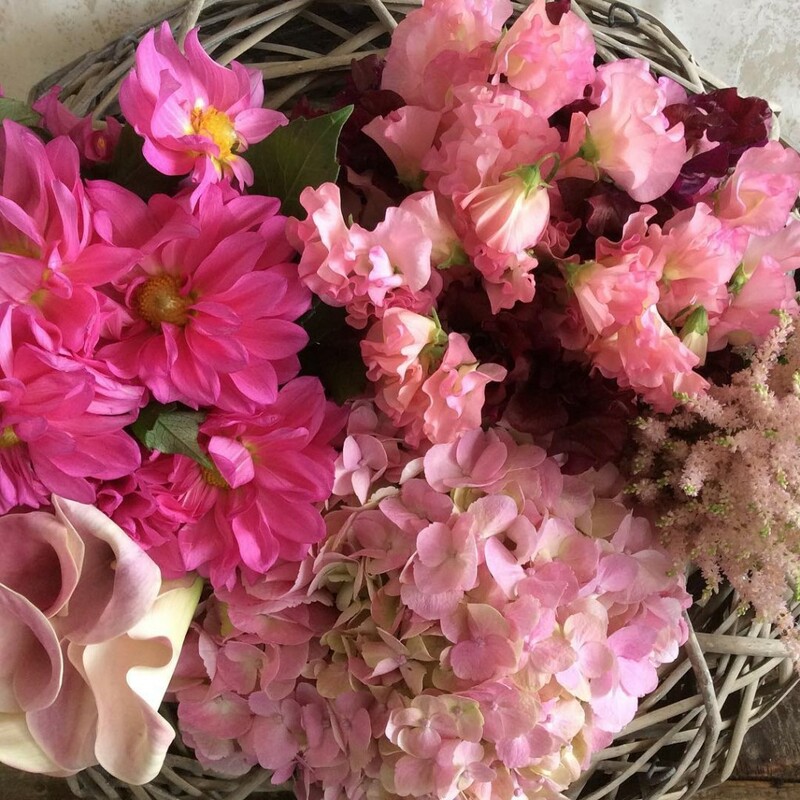 Many of us drag our tired and weary bones back into work again the next day, often to shops that have very little left to sell, or worse, we are forced to set the dreaded alarm yet again and restock the shop with fresh blooms. We are totally thankful for a sell out of roses for sure, everyone knows there is very few roses being sold in the days following Valentine’s Day but…… we are only half committed to filling the shop to the brims again when we really would prefer to hit snooze. 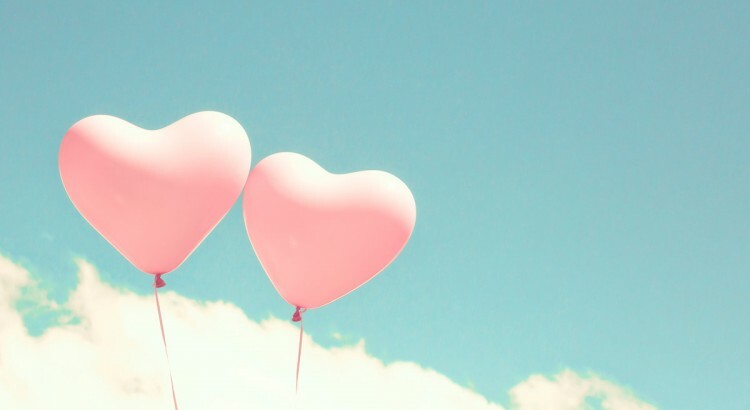 As Valentine’s day fell on a Tuesday this year, that probably means for many of us we have started our day at 3am three days running (or worse). Thousands of roses have been stripped, and when we have temporarily misplaced (read; permanently lost) our trusty rose de-thorners somewhere in the rose leaf debris 1 metre deep underfoot, we have been forced to strip them by hand bar the assistance of a little cellophane. Ouchy. Our tired, aching and often infected hands are calloused, red, dry and split. They sting, and are inflamed. For florists like us though, who are set up in a retail precinct or mall, the next day is business as usual after all, their are birthdays, anniversaries, parties and funerals to attend to. The shop opens on time, and the Valentine’s Day marketing displays are immediately pulled down, and the shop is redressed for a new day. The day after such a big occasion will be filled with thorough shop cleanse, re-organising the displays and re-stocking the shelves and, we will all handle our share of complaints. It is a hard day when you are running on empty. I think that there is some flexibility in the day that the industry chooses to observe as their Picnic Day. I have noticed several hairdressers naming Melbourne Cup day as their chosen day. With this in mind, I think we should consider naming our own day. Given the hours of work florists have to put in to barely survive Valentines Day, I think it seems pretty fitting, that February 15th be named Florist Picnic Day. We certainly work through the night in the evening(s) before hand, and with one day of true rest, I’m sure we could all better handle the highs and lows that come in the retail world. So, who’s with me? Let’s start a revolution!! A video has been circulating over the last few days which I know has given alot of my friends and former colleagues a great laugh. It is by Tanya Hennessy, a comedian and breakfast radio host based in Canberra, and is entitled “Things people say to Florists”. It’s by no means the first video of this style she has done, and whilst some people may be embarrassed to find some phrases they have used before in the compilation, this by no means is intended to offend anyone. It’s all the more funny because we all know it is true. 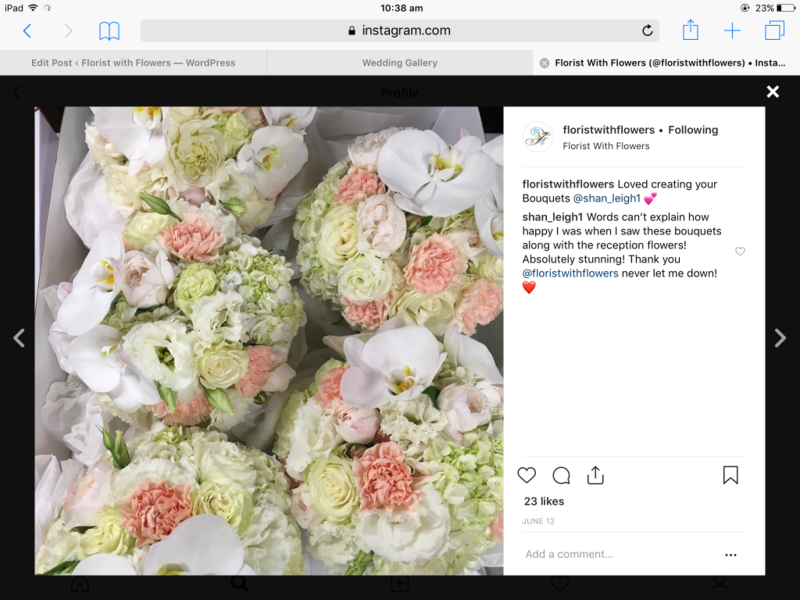 And Tanya Hennessy has certainly done her research, because each and every florist who has been in the industry some time, has heard these….EVERY. SINGLE. ONE. For anyone who has worked in the industry, or has someone close to them that has, this skit portrays a day in the life so well, you could find yourself peeing your pants…just a little. From the misunderstanding that floristry is a mindless skill less job, to the elaborately woven stories of backyard family BBQ’s created to cover up the fact that the order is for a wedding. I kid you not, this really happens. Any customer service role requires a level of decorum, as well as a thick skin as not to be offended by people’s opinions of you and your creative style. It also requires the ability to bite your tongue and be as diplomatic as possible in response to somewhat offensive situations. 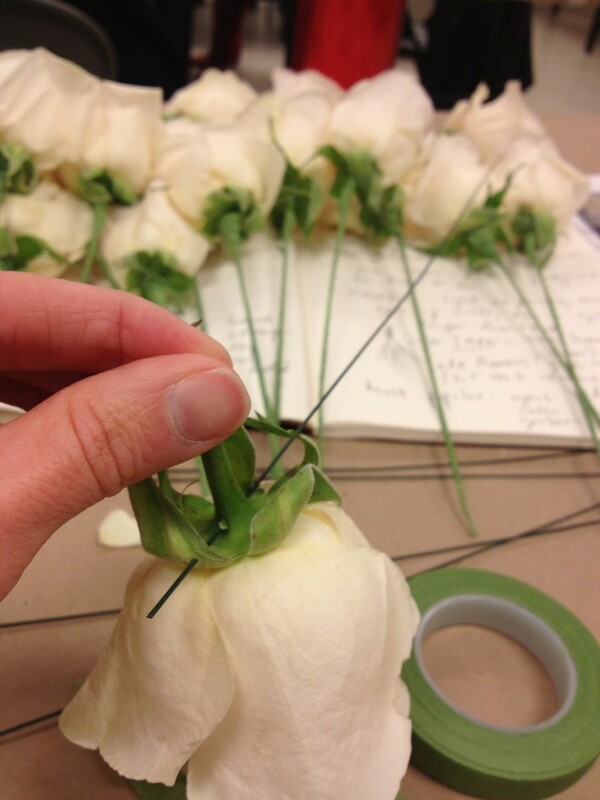 Anyone who has ever worked as a florists knows that it is not an easy road. 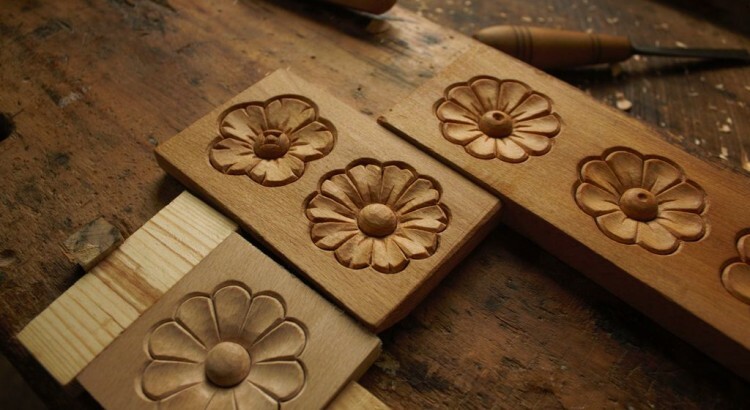 Granted, many florists may not have a university degree, and by no means would we suggest it was rocket science, or brain surgery, but it is a skill nonetheless. 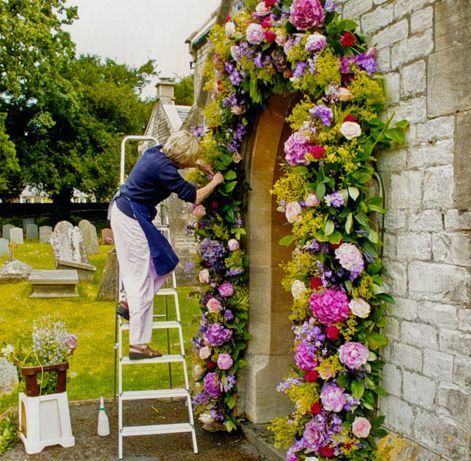 Alarm clocks ringing at 3.30am, knock off times well after dinner, bump in and bump out times that basically take up all the possible sleep time in between, working as a florist could quite possibly be the hardest job you’ve ever had. The hilarious video got me to thinking of all the ridiculous things that have been said to myself or my colleagues over the years, and just how much laughter has roared out from the back rooms when we have retold the stories. Or my personal favourite “What do you suggest?” only to systematically decline each and every suggestion. Breathe. “Is this all you have?” never gets old for me. Even when I answer, they tend to ask again, but in a different way “You haven’t got anything else out the back or in the fridge?” It’s as if they think I am hiding the best stuff from them. Do I look untrustworthy??? “I was just going to go to the markets and pick up the flowers myself, because I just want that ‘thrown together look’ that is really ‘in’ at the moment”. “Will the flowers still look good the next day? I was hoping to give them to my Mother-in-law (or appropriate family member)….No? Well, I don’t really want to pay this amount of money just for something for one day!” *Thinks* You might want to consider the whole wedding day then….